FINAL Place Pacs is a pelleted bait containing the powerful active ingredient, Brodifacoum, our strongest, single-feeding anticoagulant bait on the market today. Effective on both rats and mice, FINAL Place Pacs works especially well to clean out persistent mouse infestations where control is difficult or resistance is suspected. FINAL Place Pacs is manufactured from an advanced formulation that produces a fresh tasting, highly compressed pellet, noted for outstanding flavor and a long shelf life. Pellets hold up well in adverse conditions, making them a popular choice in moist conditions. The hardness of the pellet also satisfies the rodent's desire to gnaw. 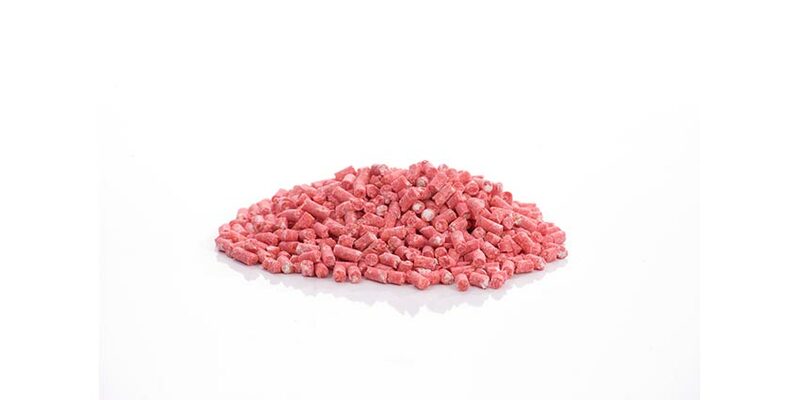 Pelleted FINAL is available in pre-measured polyglassine place pacs that keep bait fresh and free from contaminating odors. Rodents open the place pacs with their gnawing. 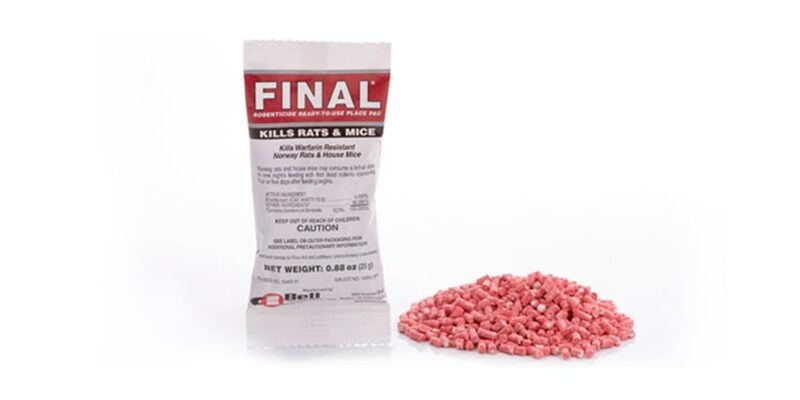 The slender place pacs can be used in hard-to-reach places or in bait stations placed along rodent runways.